South Georgia Brick Company, Inc. originated in 1971, has been locally operated by the Jack Morrell Family since 1975 and owned from 1989 to present. Since its origination, the company has been dedicated to service and quality. This can be seen in the company's long history and the loyalty of their employees. 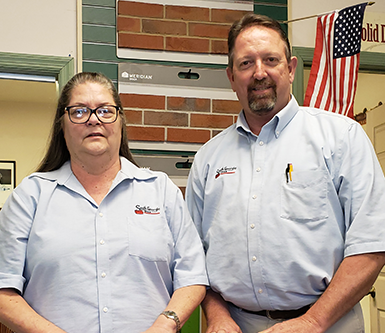 Several of the employees have been with the company 20 plus years, creating a true "family business" atmosphere. The company has primarily relied on their reputation of quality services, strong contractor referrals and direct advertising. The "grass roots" positive customer service campaign along with an aggressive, recognizable television campaign "South Georgia Brick Means Quality Every Time" helped in building the company's strong foundation due in large part to concentrating on customer experiences and quality standards. South Georgia Brick Company, Inc. conveys to the customer, "you don't buy brick, you invest in it." The Tallahassee, FL office of South Georgia Brick Company, Inc. has had the pleasure of serving the Tallahassee and surrounding areas since 1989. We are located at 1196-B Capital Circle N.E., across from the National Guard Armory. We have supplied brick and related masonry products to homeowners and contractors, both residential and commercial, for decades. 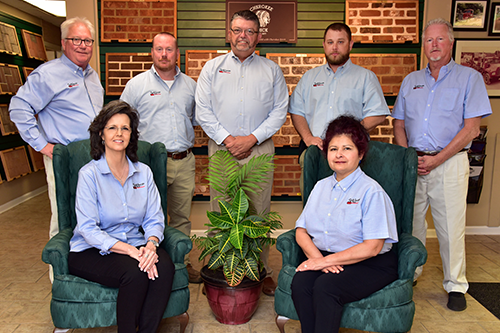 Our experienced staff look forward to serving you, The Customer, and meeting your needs. We welcome the opportunity to assist you with any of our many brick and masonry related products.